If your application requires high temperature or high impact then our solutions are ideal for you. We maintain high levels of precision while complying with all of your specifications. Our customer service is willing to work with you from the initial contact all the way till after sales support. Regardless of your application, we can help. We accommodate a wide variety of industries and we are excited to work with your business. We have years of experience manufacturing high performance graphite plates and other graphite products. Our company offers a variety of secondary operations for added benefits for your orders. These services include: turning, milling, centerless grinding, optical tolerances, sawing, sanding and more. We only use the newest technologies to optimize our work orders so your products will get to you right away. We look forward to hearing from you! 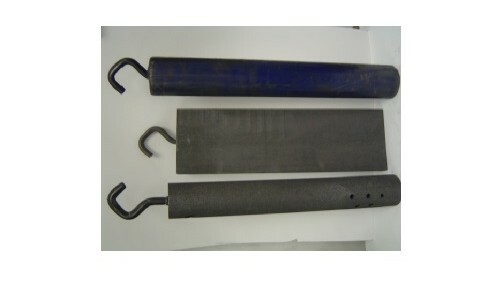 Graphite plates are used for a wide variety of applications in many different industries. They are available in different forms and created using a multitude of manufacturing processes. These plates can be custom made or come in multiple standard thicknesses and sizes. There are an abundance of retailers who sell this type of plating. The market for graphite plating can be very competitive and consumers are likely to have many options available to them as they search for retailers of graphite plating. Consumers can benefit from understanding different plating methods and applications of graphite. It is important that shoppers choose a manufacturer or retailer of these plates that will be willing to expand upon their many different uses and applications. It can be helpful to understand how graphite machining works, graphite properties, the plate manufacturing processes, and the industrial applications of this material. Graphite is a crystalline allotrope of carbon. It is a semimetal and native element material. It is the most stable form of carbon and thus has a wide range of useful applications. It comes in a few different varieties such as crystalline flake graphite, amorphous graphite, lump graphite, highly ordered pyrolytic graphite, and can also refer to different carbon fibers and carbon materials. Crystalline flake graphite comes as an isolated flat particle which naturally forms a hexagonal edge when unbroken. Amorphous graphite is a very fine kind of flake graphite. Lump graphite comes from fissure veins and is present in large intergrowths of fiber-like crystalline aggregates. It is usually hydrothermal. Highly ordered pyrolytic graphite is graphite with an angular spread between the graphite sheets. There are also many forms of composite graphite materials and synthetic graphite. Graphite properties can change depending on how the different forms of graphite are extruded and treated. There are three naturally forming allotropes in the carbon atom and structure bonding processes. The first is diamond, which has a diamond lattice crystalline structure. Next is graphite, which has a honeycomb structure. The third is carbon, which has no crystalline structure. Graphite is a form of carbon and the most stable form of this structure under most conditions. Carbon is a naturally occurring chemical element and is nonmetallic. Carbon is one of the most commonly occurring elements on the planet. In the graphite allotropic form, this element can be used in innumerable ways. Consumers who are looking to purchase plating made of graphite, graphite composites, or polymer treated graphite, should know as much about graphite in its basic state as possible. This will aid in helping them to fully understand the properties of the product they are purchasing. Graphite is used in a variety of ways and has multiple industrial applications. Different types of graphite can be applied to many different purposes. It is a highly flexible and useful material. Graphite can be used in many areas such as in refractories, in batteries, in the steelmaking process, in brake linings, as a foundry lubricant, and in electric motor brushes. Graphite crucibles were frequently used as a refractory material that held molten metals in the late 1800's and are still in use today. Graphite can also be used in batteries. The anode of a battery can be constructed using either natural or synthetic graphite. The growth of use in batteries has caused an increase in graphite demand over the last two decades. Electric vehicle batteries are also expected to add to this increased demand for graphite. The use of natural graphite in the steelmaking process usually has to do with lubrication. The graphite is used for lubricating dies which will extrude hot steel. Graphite supply in this industry can cause stiff market competition. The form of graphite most commonly used for sheets of graphite is called expanded graphite. Expanded graphite can be created by taking natural flake graphite and immersing it in chromic acid followed by sulfuric acid. This process forces the interlaced planes apart and expands the graphite. Brake linings and brake shoes for larger vehicles are frequently made of natural amorphous and fine flake graphite. These graphite brake linings are in use today as a replacement for linings that previously were made of asbestos. There is a type of water-based paint that is made with amorphous graphite that is used as a foundry mold wash. The fine graphite coating left when the paint dries on the inside of a mold is perfect for easy separation of objects that are cast and cooled. Graphite plates are typically smooth, flat, and of uniform thickness. They are very electronically and thermally conductive. They are also chemically inert and have a great temperature resistance. These plates are used in many industries including the paper, chemical, electric and cement industries. They are commonly custom made but can come in standard sizes and shapes as well. Graphite plating is made through a process of extrusion. It can be sealed with many different forms of polymer. Graphite plating is a very useful construction component of various different machines and battery cells. Understanding the various applications and construction processes of these type of plates can be useful for consumers who need to purchase them for any multitude of reasons. Graphite plating is commonly used for things like fuel cells. They are attached to the electrode backings within these cells ate serve a double purpose inside of the fuel stack. The first purpose is to serve as a conductor by receiving energy from the electrodes as graphite is highly electrically conductive. The second purpose these plates serve is to help guide the oxygen and hydrogen flow through the ends of the stack. This ensures that the highest possible amount of gas and moisture can come in contact with the membrane. Since graphite is porous, these plates are designed using a much longer and more complicated process to make them less porous in order to prevent the gasses from leaking. Pure graphite does very well in fuel cells and electrode use because it has such a low density. It has a much lower density than almost any other form of temperature resistant metal plating. Graphite can, however, be fairly brittle. This is why when used in applications that require strength, different types of polymer bonding materials are used. Graphite plating is commonly smooth, or have exterior layers containing high gloss or woven carbon fabric. Additionally, graphite can be corrugated, or even engraved with patterned designs. Graphite plating is also commonly used for kiln components, structural type ribbing, extrusion machines for zinc or aluminum, plastic injection molding components, and of course bipolar fuel cell construction. The variety of useful applications of graphite plating truly is impressive. It can be beneficial for consumers to understand as much as they can about the multiple uses of graphite plating. Graphite plating is created using an extrusion process. In many cases, they are of a custom design, but can also be made in standard shapes and thicknesses. The graphite extrusion process often requires pure graphite but can also contain carbon graphite or a mixture of similar materials. These components are heated until they become flexible. Then, they are forced through a hollow profile. Many plates are made of unidirectional type layers. They are stacked together and bonded using epoxy. Graphite can be very porous, so some plates are sealed with wax or resin. This helps to prevent the gasses that will pass through them from leaking. This helps avoid problems from these pores or and impurities that the graphite may contain. Graphite plating can be created using many different grades of graphite. IPG is commonly made of fine particles that help it to have sharp detail and high strength. Another dense and oxidation resistant form of graphite used for plates is PL-850. PL-850 does well in high temperatures. A form of graphite that is useful in the graphite machining process is PL-800. This kind of graphite is well suited for furnaces and kilns. It is useful for consumers to understand how graphite plating is constructed. This can be helpful in making the purchasing process simpler and more effective. It can be very important for consumers to choose a graphite plating manufacturer who is knowledgeable in all areas of the plate construction process. Retailers of these plates should be able to help their shoppers find the exact type of plating they will require for any number of respective construction projects or applications. Consumers may not fully understand the extrusion processes or applications of the many different graphite composite plates. Vendors should be ready to explain these processes to help shoppers be well informed before making a purchasing decision. This can help avoid construction mistakes. In addition to this, consumers should become as well informed on the graphite plating process beforehand to help them choose a high-quality product that will be conducive to whatever purpose they intend to use the plating for. Choosing a graphite plating retailer who uses premium materials is key. There are a few different extrusion methods used today to create graphite plating. There are also many different polymers used to strengthen and seal graphite plating. The retailer a consumer chooses should be able to help them choose the right type of plates. Each respective application may require a slightly different form of graphite or plate shape. The different sealants, graphite grades, sizes, and composite forms are all important factors that should be taken into consideration when purchasing this type of plating. Retailers should be happy to answer any questions that customers have regarding graphite plating. They should then be able to find the exact type of plate that a customer will need for any number of applications. Carbon graphite is a fascinating and highly useful product. It can be put to a variety of uses and serve many applications in multiple different industries. Plates made of graphite are electronically and thermally conductive while still remaining resistant to chemical corrosion. This makes them perfect for use in battery cells, among other things. Choosing the correct type of graphite plating may seem like a difficult decision to come shoppers. Understanding as much as possible about graphite, its extrusion process, and different types of plating can help consumers feel more confident in their purchasing process.